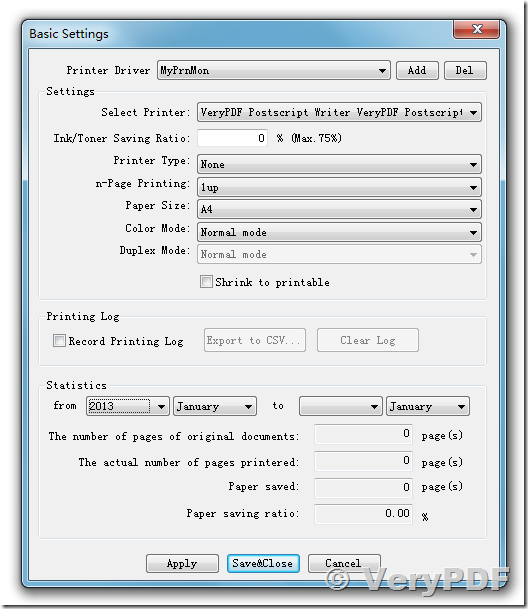 Can I forward and redirect print jobs from one printer to another in windows? I want to forward all the jobs from one printer to another on Windows XP, Vista, 7, 8 systems, is this possible? The scenario would be any print job printed on one would also be printed on the other in a chained fashion. The printers are all local. So printing to Printer A would send the jobs to B, C and D? Sounds like you're looking for print mirroring, not forwarding. To the best of my knowledge, this kind of setup is not possible with the native Windows print spooler. You'll have to get fancy to accomplish this. Fancy, in this case, would be a custom print-provider. There are third party utilities (paid, I know of no free ones) that do this, as that kind of setup is occasionally found in high print situations like Higher Education computer labs. How it works is that when you create a new print queue, you create it through a custom print port. This is a software shim that can do things like mirror print jobs between other queues on the system or do more intelligent print-pooling than the native Windows system. Method 1: User Print a document to docPrint first, docPrint will redirect this document to another Windows Printer or network printer again. 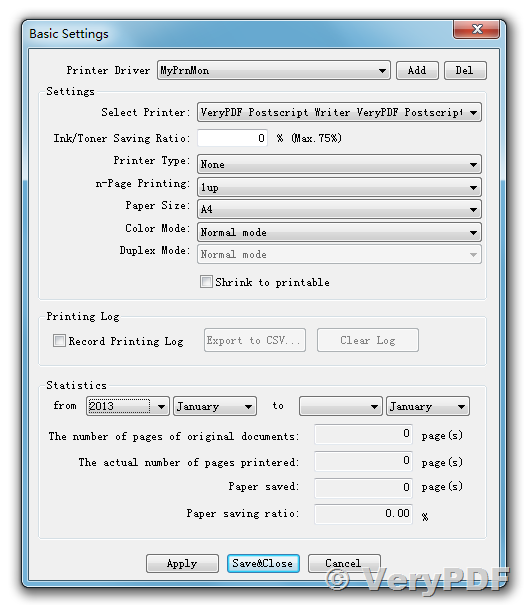 After you set the options, click "Save&Close" button to close this dialog, when a user print a document to docPrint, docPrint will redirect the print job to predefined printer properly. Method 2: User Print a document to any Windows Printer (Local Printer or Network Printer), then redirect to docPrint, and then redirect to original Windows Printer again. docPrint Pro install a Printer Hook Control => User Print a document to "Microsoft XPS Document Writer" => Printer Hook Control redirect this document to docPrint => docPrint saves the print document to PDF and Text file => redirect to original "Microsoft XPS Document Writer" again => OK, Finished. You can click "Install HookPrinter" button to install HookPrinter first, and set some options, click "Save&Close" button to close the dialog. After that, you can print a document to any Windows Printer, HookPrinter will capture this print job and redirect to docPrint, docPrint will save document to PDF or other formats in specified folder, and then re-print the document to original printer again. How to convert documents of OpenOffice to PBM? How to convert OpenOffice documents of ODT to PIC? How to convert Word to bitmap image using Document Converter? This entry was posted in docPrint Pro and tagged forward printer, hook printer, redirect printer. Bookmark the permalink.